Remember that Google Hangouts conversation you had that one time and then archived it? The good news is, it’s not gone forever. Let’s get it back! If you’re one of our Shift geniuses who’s spiffy with tech, you’ll know by now that there’s a difference between archive and delete. What you might not know is that you can do both in Hangouts just as easily as you can do them in Trello or Facebook Messenger. Archiving a conversation in Hangouts means that you’ll be able to close the conversation while also being able to access it at a later date. 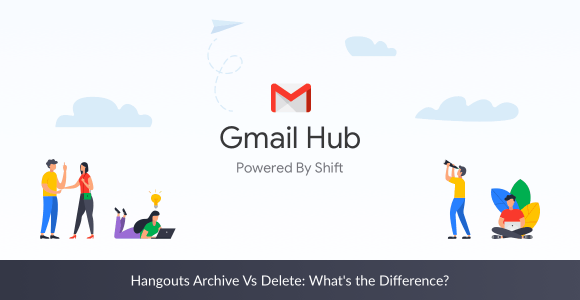 If you’re truly set to wave goodbye to a Hangout once and for all, deletion is the way. (But don’t worry, we don’t judge). Hopefully, you were sure about that, because now? It’s gone forever. Archive vs. Delete, so similar but so different in each of the apps supported in Shift. Make sure you familiarize yourself with them to maximize your productivity!